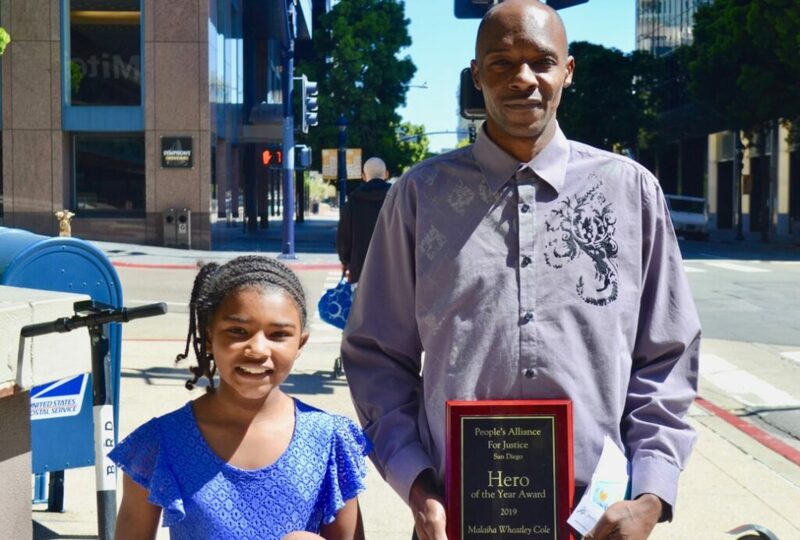 Nine year-old Malaiha Cole received the Hero of the Year Award for her bravery, after saving herself and her little brother during a kidnapping. 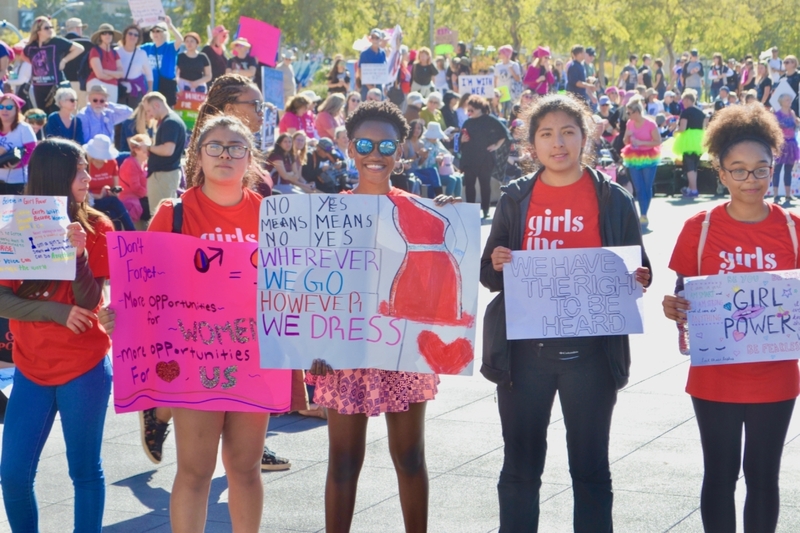 This past Saturday, about a hundred or so people filled a space at the San Diego Union Tribune headquarters in downtown San Diego, for a celebration in honor of Women’s History Month, and to hear longtime anti-racism activist Jane Elliot speak. Elliott, tiny in stature yet showing no signs of frailty by any means, captivatingly spoke to the diverse crowd made up of mostly Black folk, speaking in an unorthodox, matter of fact, telling it like it is manner, which obviously, the audience was there for. The former internationally known teacher, lecturer, diversity trainer, and recipient of the National Mental Health Association Award for Excellence in Education, is known for exposing prejudice and bigotry for what it is, as explained on her website JaneElliott.com as a irrational class system based upon purely arbitrary factors. Elliott rose in popularity for her progressive thought, in response to the assassination of Martin Luther King, Jr. in 1968. She devised the controversial and startling, “Blue Eyes/Brown Eyes Exercise,” a famous exercise labeling participants as inferior or superior based solely upon the color of their eyes and exposes them to the experience of being a minority. We here at The Chocolate Voice first came to know Elliott watching her as a guest on the Oprah Winfrey Show back in 1992. Rev. Shane Harris, founder and national president of People’s Alliance for Justice, one of the organizers of the event a San Diego native, now living in Los Angeles, moderated the event and shared a lot of playful back and forth moments with Elliott, who firmly told him to take a seat and that it was her time to speak. 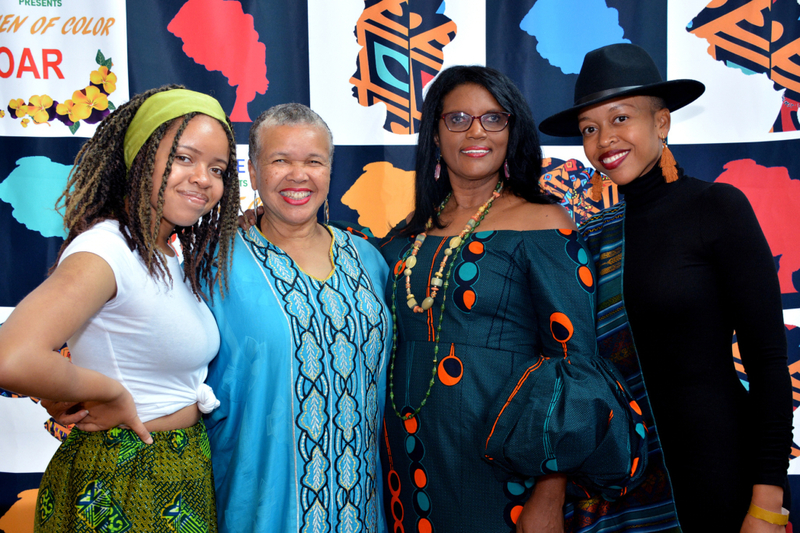 In addition to Elliott as the keynote speaker, the main purpose of the event was to honor women in the community leading the charge for social justice. 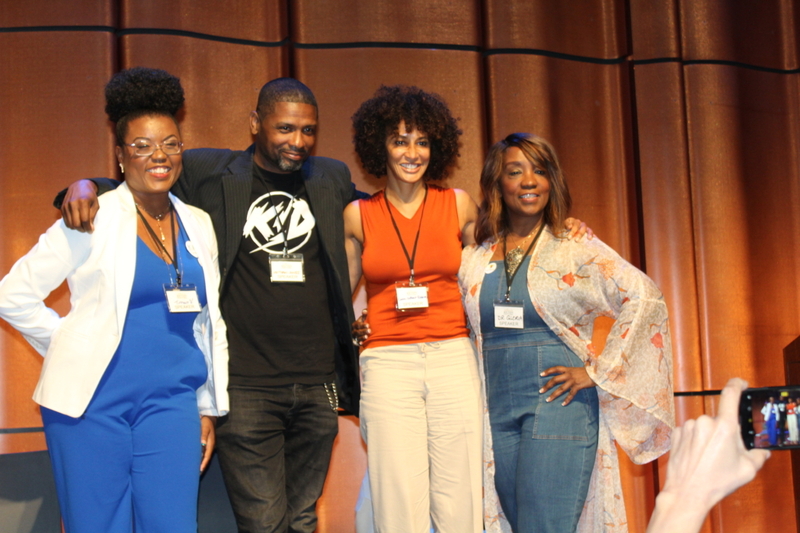 The honorees of the event included four notable women namely, because of their work and commitment in the movement for fighting for social and racial justice. And one brave nine year-old little girl who saved her life, and the life of her little brother after being kidnapped. Cole, who was 8-years-old at the time of the horrific incident utilized an emergency cell phone that her father gave her to call 911 while the kidnapper was driving the car heading towards the Mexican border. Pictured: Malaiah Cole and her father, Rodney Cole. Malaiah escaped being kidnapped saving herself and her 3-year-old little brother. 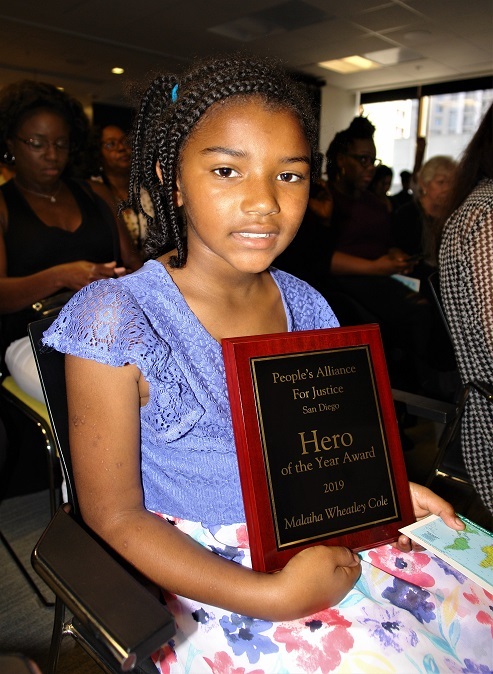 While introducing the youngest recipient, Harris stressed that he was honored to honor Malaiah Cole and referred to her as a shero. 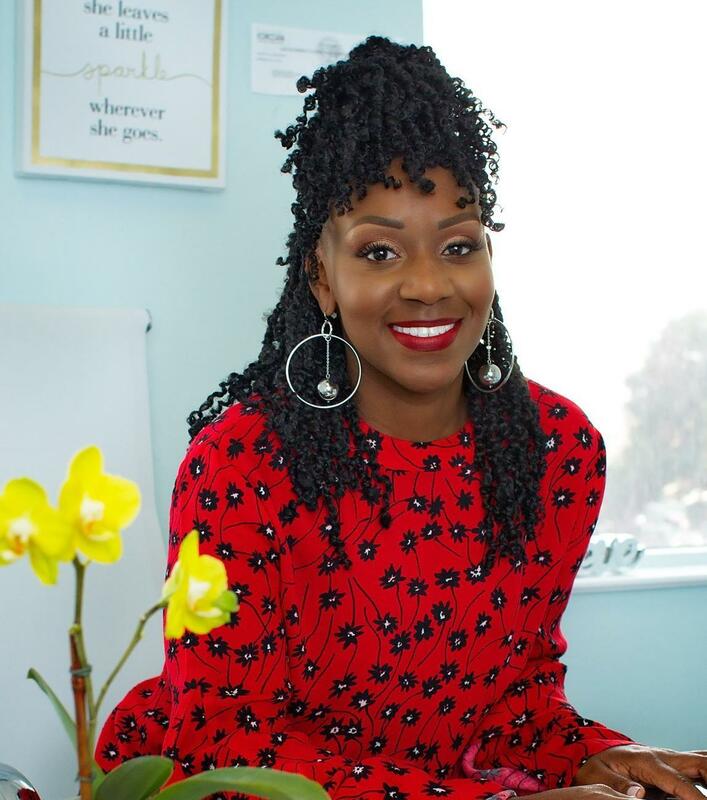 The other four women honored were—Angela DeJoseph, founder of Women of Color Roar Media, Tinicia Smith, Advocate for STEM and Co-Founder & President of Black San Diego, Marlea Del’Anno, Civil Rights Attorney and Tonja Daniels, president of the Peoples Alliance for Social Justice San Diego Chapter. 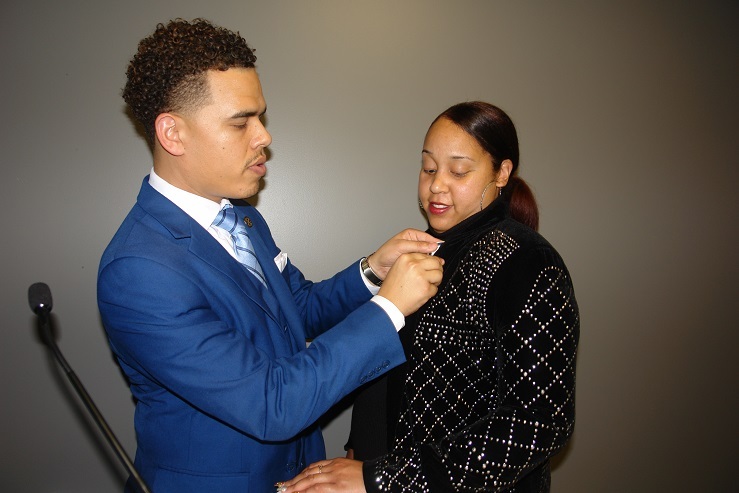 At the end of the program Harris, passed the torch to Daniels who was appointed president of the San Diego chapter, while Harris leads the organization nationally.